Tyler is a great character though and his relationship with Ani is, quite frankly, adorable. I loved how it was shown from both sides, with both of them thinking of how much of an idiot they must look. The way they worked together was so sweet, even when everything was falling apart. Ani’s not mentioned much in the blurb, but she does have an enormous role to play in the story – not just as the love interest. I really, really liked that she was the one to design the game, and I also liked how it showed that not all the players were happy with her skills as a designer and a gamer – it can be really difficult to be a female gamer and I thought it was great that that wasn’t glossed over. Her relationship with her father too, and her staunch support of him was brilliant; her whole family are fleshed out. It’s the details of her life and her family that make her so much more than just another love interest. 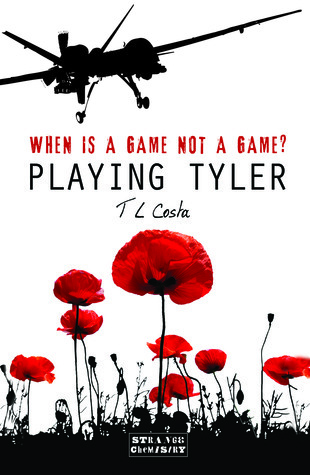 The pacing’s great in this but I think that’s helped a lot by Tyler’s voice – the pacing automatically quickens just because of the nature of who he is. Tyler’s relationship with his brother hurts. Hurts like fire. What’s bad about it? It’s pretty obvious what the flight sim is. The ending is a little abrupt but it’s understandable why. The verdict? I received this as a ebook ARC from Netgalley in exchange for an honest review. So I won’t lie. This is an awesome read. The characters are fantastic, the pacing is good, the character development is good. There were sections that made me smile, a couple that had me crying and a few that were just adorable. Alright, the flight sim is obvious, but I didn’t really care, because the rest of it was so enjoyable. Plus the cover is gorgeous. I mean really, that is some nice cover art. Can't wait to read it. See you on the 26th at the book signing.